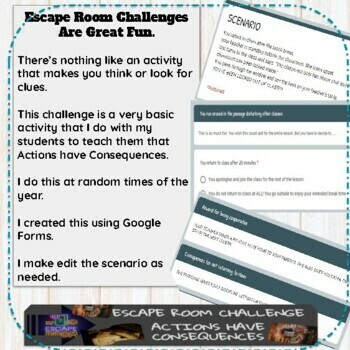 Digital Room Breakout. 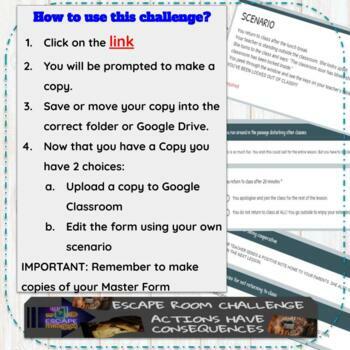 Created using google forms. Purpose of this activity is teach students the basics of classroom behaviour, ie Actions have Consequences. It should be a great help to teachers who would like to use Google Forms in a different way other than to create quizzes.